Special counsel Robert Mueller on Friday turned over his long-awaited final report on the contentious Russia investigation that has cast a dark shadow over Donald Trump's presidency, entangled Trump's family and resulted in criminal charges against some of the president's closest associates. The report, still confidential, marks the end of Mueller's probe but sets the stage for big public fights to come. The next steps are up to Trump's attorney general, to Congress and, in all likelihood, federal courts. 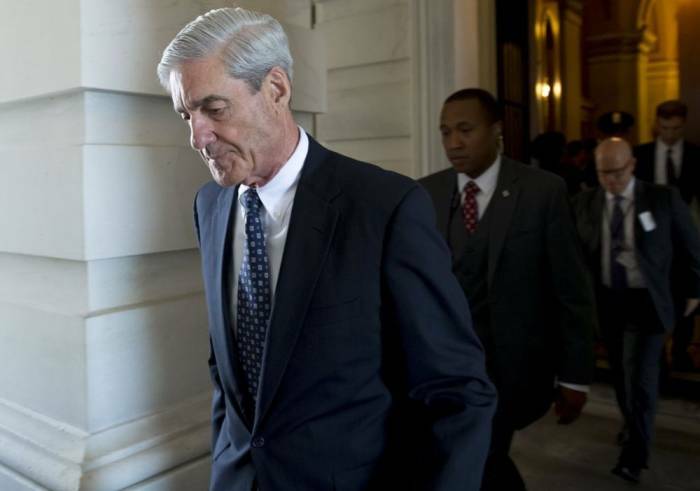 The Justice Department said Mueller delivered his final report to Attorney General William Barr and officially concluded his probe of Russian election interference and possible coordination with Trump associates. The report will now be reviewed by Barr, who has said he will write his own account communicating Mueller's findings to Congress and the American public. Barr said he could release his account to Congress as soon as this weekend. back soon for further information. AP's earlier story is below.